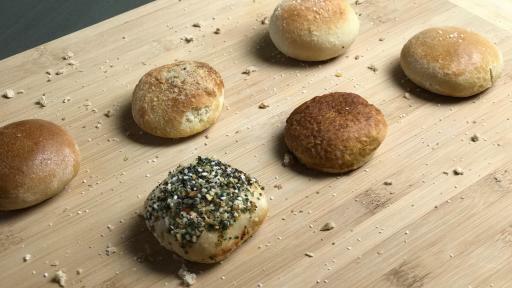 GRAND RAPIDS, Mich., Sept. 13, 2017 — Leading frozen bread manufacturer and the original inventor of frozen garlic bread, Cole’s Quality Foods, Inc., innovates the frozen food category yet again with the introduction of Middles™, a stuffed bread that combines delicious, decadent, savory, salty and sweet flavors into one revolutionary snack concept. Middles become available later this month in the freezer section at grocery, club, supermarket and convenience stores nationwide for a suggested retail price of $3.99 per 10.8-ounce box. 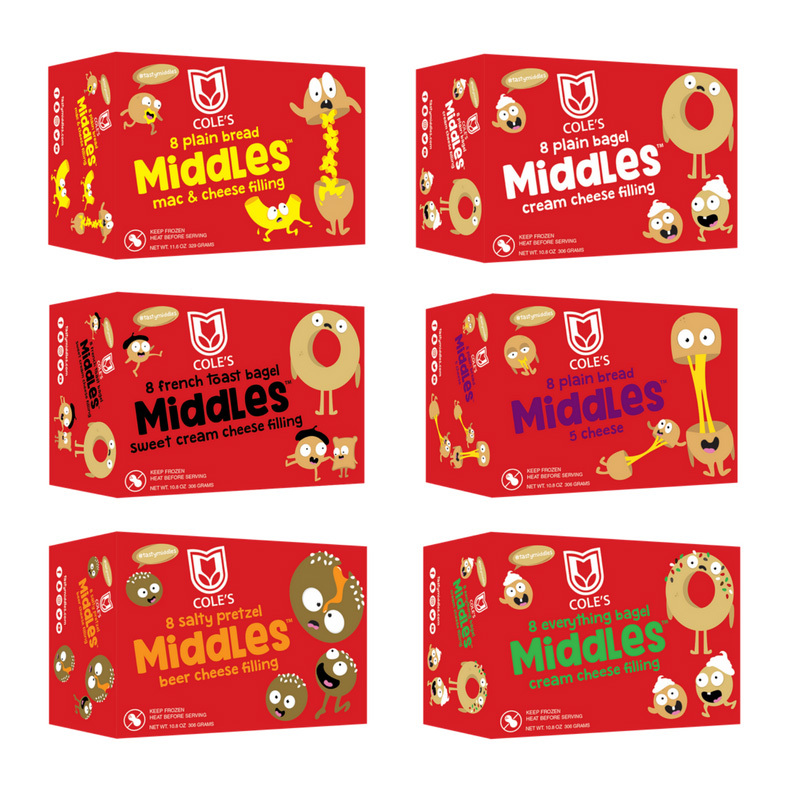 Each box contains eight tasty bread bites. 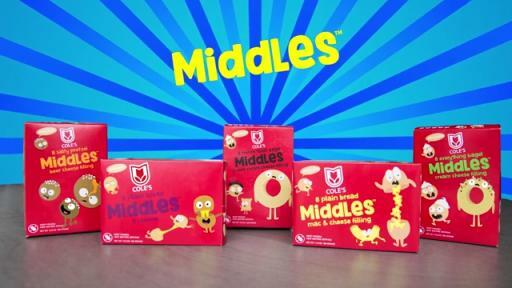 Inspired by the much-celebrated combination of bread and cheese, Middles advances the concept by featuring the soft “middle” section of popular bakery staples, including bagel, Italian and pretzel breads. They are then stuffed with savory and sweet centers, including cheddar cheese, cream cheese, and beer cheese varieties. 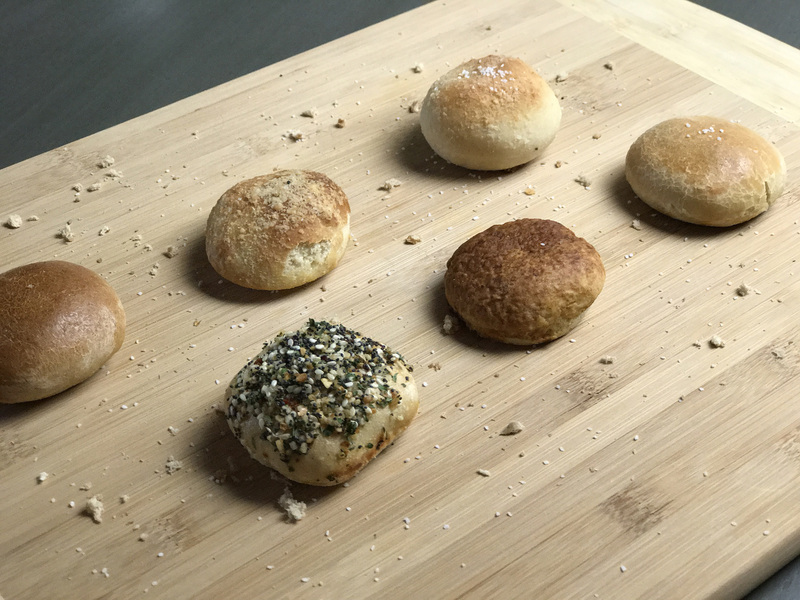 The result is an outrageously delicious heat-and-serve stuffed bread snack that can be made in either microwave or conventional ovens in just seven to nine minutes. Tasteful since 1943, Cole’s Quality Foods is a leader and innovator of frozen bakery products. In 1972, Cole’s invented the first frozen garlic bread. 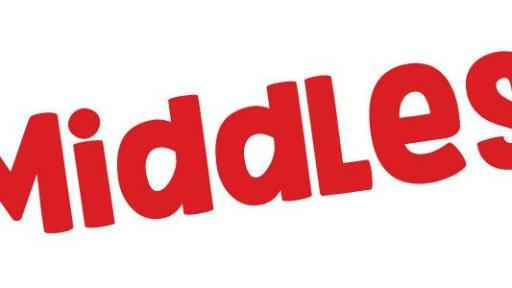 Today, the family-owned company produces a complete line of frozen bread products sold in grocery, club, mass merchandise and supermarket stores across the United States. 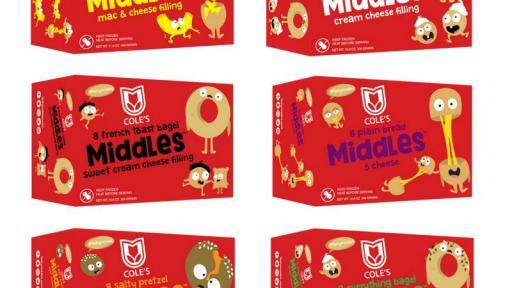 For more information, visit www.coles.com.